Fig. 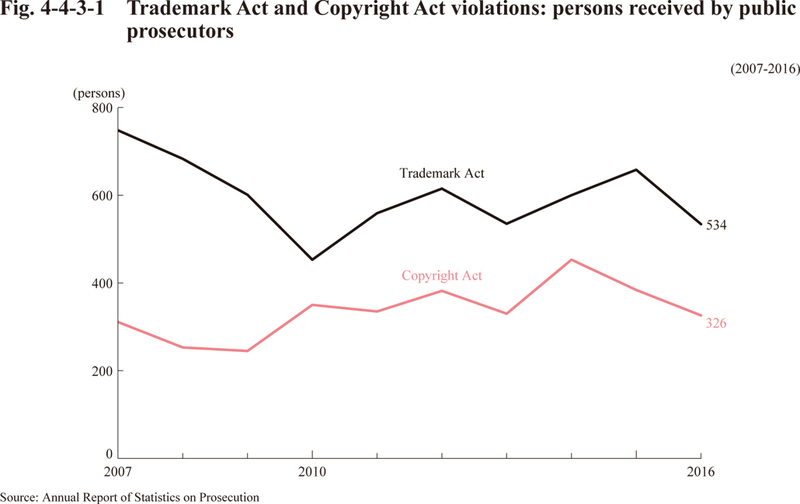 4-4-3-1 shows the trend of persons received by public prosecutors for violations of the Trademark Act (Act No. 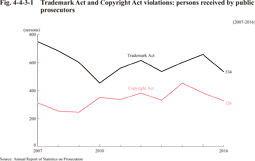 127 of 1959) and the Copyright Act (Act No. 48 of 1970).